Please join us for a workshop on personal safety, self-care, ethics, and the practicalities of engaging with local populations in disaster- and conflict-affected environments. 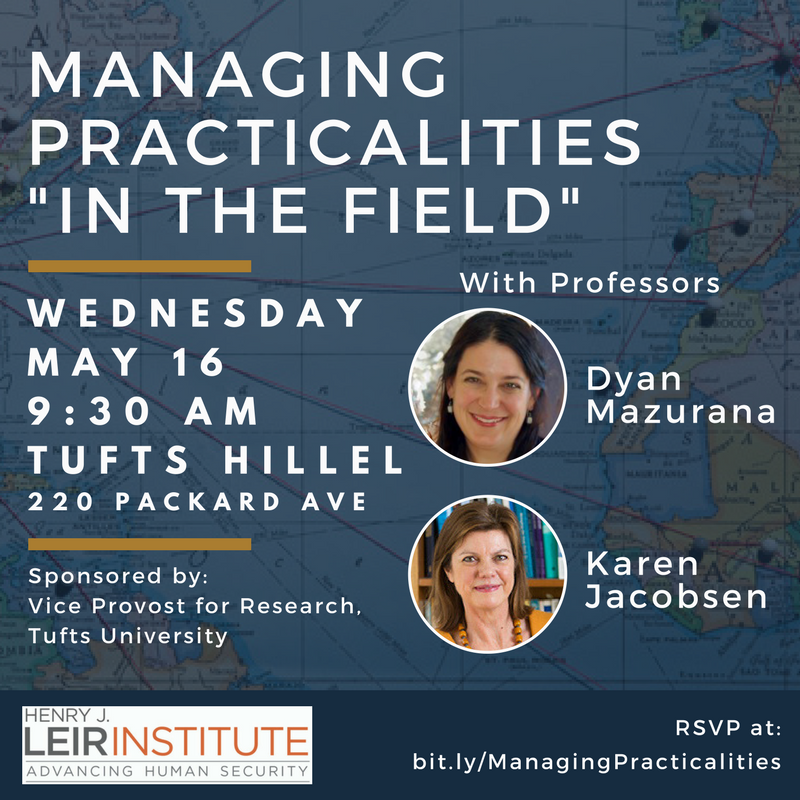 The workshop will be led by Fletcher and Friedman Professors Dyan Mazurana and Karen Jacobsen. Profs. Mazurana and Jacobsen have decades of experience working with populations in Afghanistan, Bosnia, Egypt, Jordan, Nepal, Sudan, Uganda, and beyond. Between them, they have produced studies to inform the policies of UNHCR, OHCHR, UNICEF, UNDP, the World Bank, DFID, USAID, and many other governmental, intergovernmental and non-governmental organizations. Sponsored by the Vice Provost for Research, Tufts University. Register for Managing Practicalities here.